Fair Trade is rad and so are you! Come see us at the Fair Trade Fashion Show! We're excited to take part in the Wear Your Values event at Galerie LA to wrap up Fashion Revolution Week! 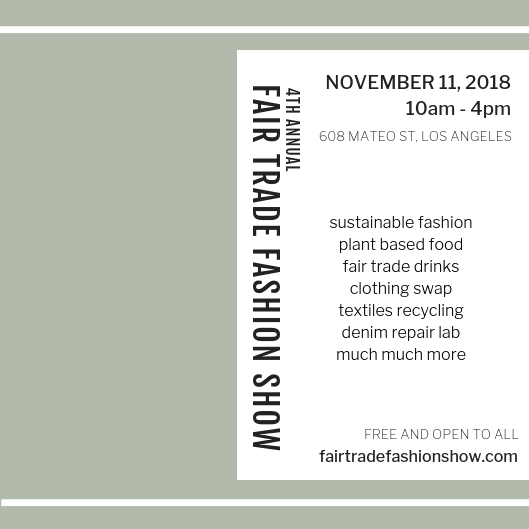 We'll have a trunk show from 11-4pm along with other SoCal sustainable brands followed by a panel of speakers from Re/Make, Galerie LA, and Triarchy. Click here to RSVP. We're thrilled to have out Yan necklace and Sabah ring featured in Basic's gift guide!